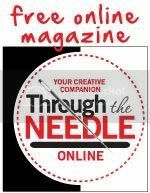 Elsie M. Campbell and Aunt Mimi's Quiltworks: String Quilts, again! I love teaching workshops. Plain and simple. 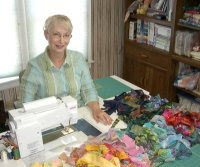 My all-time favorite to teach is "String Quilts". Lots of times, workshop participants already own my book Scrap Quilts: String Quilts book, and walk into class wanting to make a specific quilt patterned in the book. That is a good thing, because you pretty much know where you are going, and what your finished quilt will look like. After all, that's why I write pattern books. 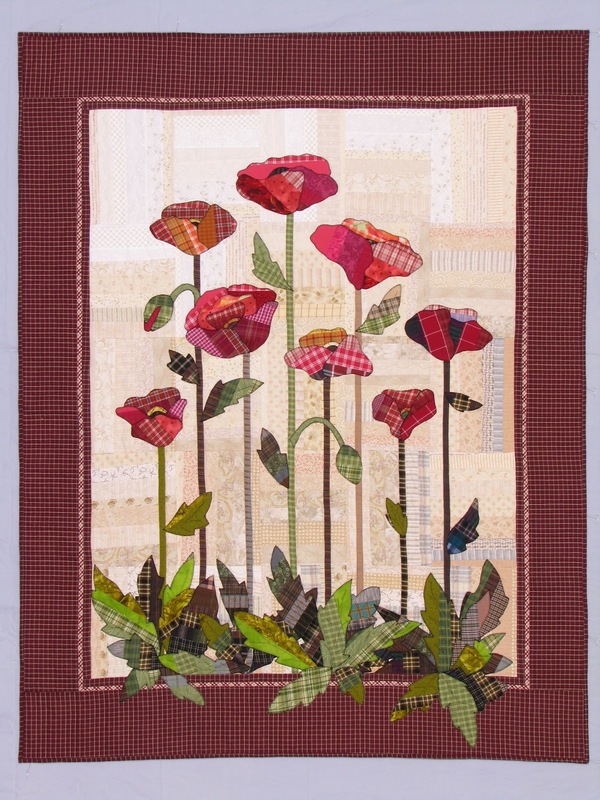 But the best part of taking a workshop is that you can take what the teacher has done, and add your own twist to make your version of the instructor's pattern. And I highly encourage others to take my patterns and adapt them with their own original ideas. That's exactly what Jo Weaver, who took my workshop in Hot Springs Village, Arkansas last summer, did. 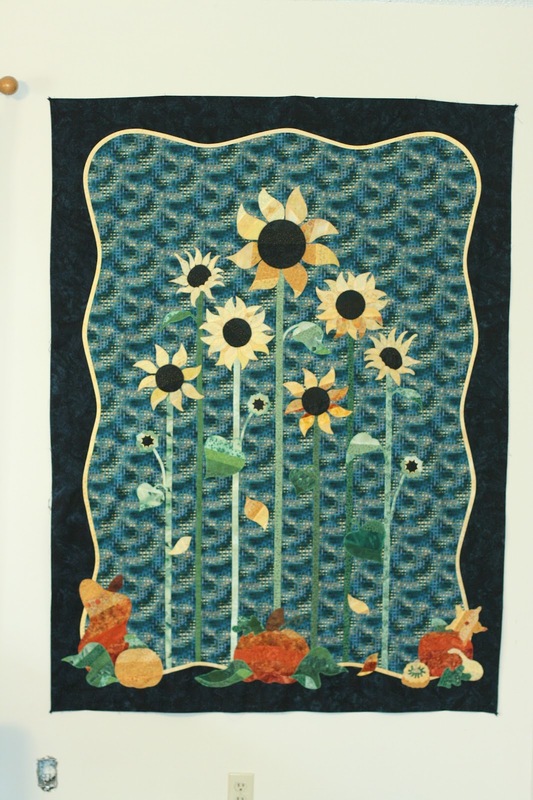 She liked the Plaid Poppies quilt from my book, but with a little input from me, she decided to adapt the pattern and make her Sunflowers quilt. Note the subtle differences and similarities between the two quilts in the photographs above. Sunflowers were a perfect substitute subject because they, too, have long mostly straight stems in real life, and they come in a variety of sizes. 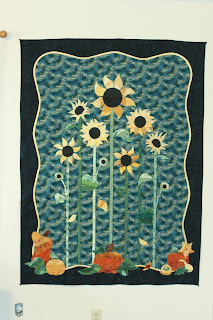 The addition of gourds and pumpkin vines to the lower border and the wavy border are the perfect touch for Jo's gorgeous quilt. 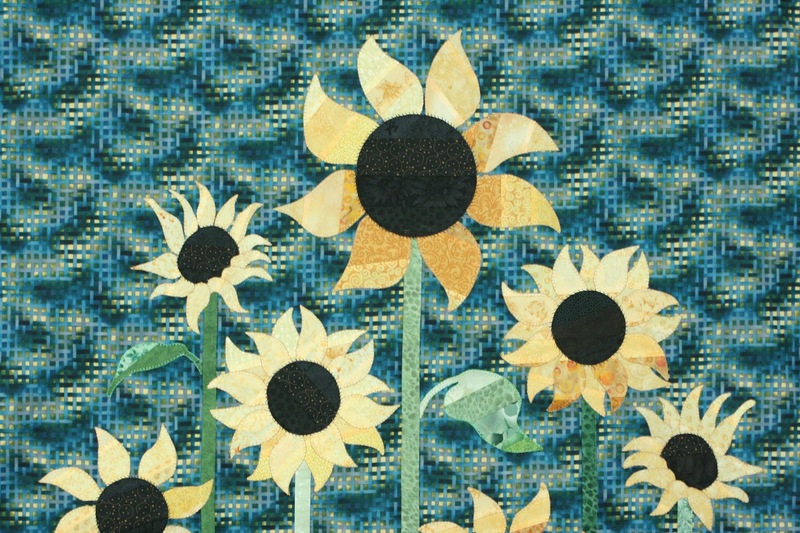 The dark border is a perfect contrast for the bright yellow sunflowers. If you've ever taken a workshop from me, I love to get pictures of finished projects. Just e-mail them to me, and maybe your quilts will be included in a future blog. Your poppies are lovely. 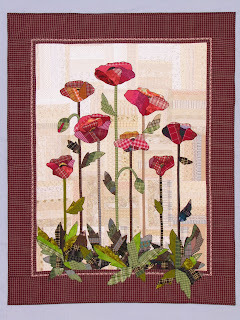 They're one of my favourite things to applique!